Panopto is the University Lecture Capture system. It also hosts all our internal streaming videos. 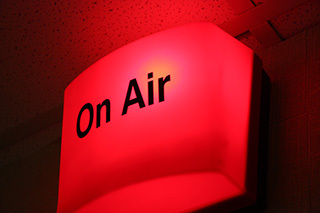 Staff can record their lecture in a lecture theatre or record a session in their office, home or on the go. You can find out more about the pedagogic aspects of Panopto from the Digital Learning Team. If you are wondering why you should capture lectures please read Dr Emma Kennedy’s post “Opposing lecture capture is dis/ableist. Period.” from August 2017. 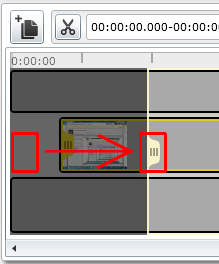 Find out how to install, launch, create and upload a Panopto recording using the Panopto Recorder in a lecture theatre, office PC or personal computer. From changing the name of your session to the Blackboard course the video sits in, all these changes are done from the Settings page of an individual session. Click to view all our settings guides. Panopto can be used for student assessments, recording student presentations or giving verbal feedback. Example scenarios and instructions for use are here. For information about copyright and our legal form store, you’ll find it in our legal information section. Panopto is heavily integrated with Blackboard. 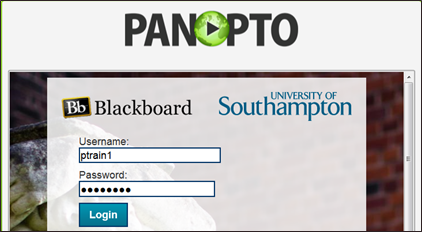 To start using Panopto you’ll need to provision a Blackboard course. Everything that is done within Blackboard is explained in this section. You don’t need to use the Panopto recorder to put content onto Panopto or Blackboard. This section shows you how to upload your own content using a web browser or use the Panopto mobile apps for iOS and Android. Panopto has a web based editor that allows you to remove many different parts of your presentation. Using just the Panopto Recorder you can live stream your event worldwide. Find out how.